The start of a New Year is a good time to reflect on the things we have been doing up until now and identify how we can do better. 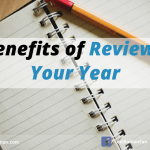 It’s highly beneficial to review our previous year and put plans in place for the New Year. As part of that review, an area we should look at are the things we did, that either didn’t serve us, or move us closer to where we wanted to be or what we wanted to achieve. It’ll help identify patterns we know we should change. It’ll help make us more effective or productive. 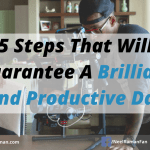 It’ll help eliminate unnecessary commitments. It’ll help reduce stress and overwhelm as we’ll be taking on less things. It’ll help us focus on the things that are truly important to us. As we identify these things, it will help us tremendously this year if we make a commitment to stop doing them. Over the past year, one of the things I identified that was not serving me was attending local networking meetings. While it was nice to see familiar faces at those meetings, I didn’t feel I was being challenged to grow or that I was getting closer to the goals I wanted to achieve. Each time I attended one of these meetings, I felt like I was wasting my time and could be doing something better instead. After I made the decision to stop attending these local networking meetings, I focused on events that were more specific to what I was interested in or had the potential to help me expand my reach internationally. That has led to new projects and connections with people I may have never met if I had not made the decision in the first place. Using lack of time as an excuse not to do what matters. How often have you said, “I’m too busy” or “There’s just not enough time in day?”The truth is if something truly matters to us, we will always find the time for it. It could be finding time to get healthy, or starting a new project or reading more in order to become more informed or acquire new skills. Saying “yes” to new requests when you really want to say “no.” As we progress and become more successful in life, we tend to attract more opportunities and receive new requests for either our time, expertise or experience. When we say “yes” to other people’s requests, we may be saying “no” to things that matter to us. We must learn to be able to say “no” elegantly without coming across as being rude or unapproachable. Not willing to take new risks and challenge yourself. We are happier in life when we are growing, which means we are challenging ourselves to take new risks. When we don’t give ourselves new challenges, we feel stagnant and there is no excitement in our lives. Being willing to step out of our comfort zone is a great way to challenge ourselves. Holding onto beliefs that are not giving you the results you want. Our results are often a reflection of our beliefs. If we want to transform our lives and create new results, we must be willing to change our beliefs about what is possible and what we are capable of doing. Being around toxic or negative people. Nothing destroys motivation or enthusiasm than being around toxic people who whine, blame and complain about their circumstances and life. It’s our responsibility to choose who we want to spend time with and also avoid being exposed to negativity. If we want to have a better year, there are practices we should absolutely stop. If we don’t, chances are we’ll create the same type of results and have a similar type of year we’ve previously had. If we stop those unhealthy practices, we have a much better chance of achieving what we want faster and with a lot less effort. Action Step: Choose one thing you will stop doing this year. Make a commitment that you will not go back to doing it, no matter what. Share it with someone who can hold you accountable and focus on it until you are confident that it is no longer an issue for you. 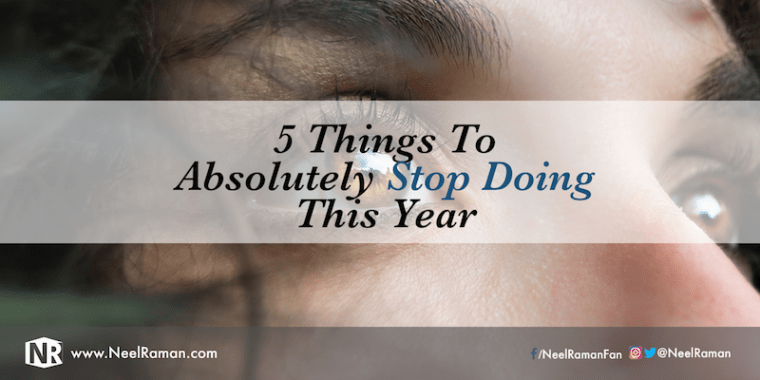 Question: What are other things we should stop doing this year that may not be serving us?